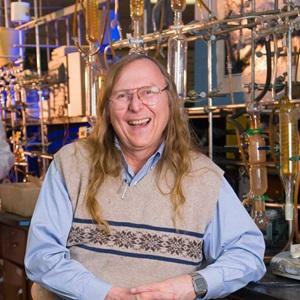 UPDATED: Wed., Jan. 30, 2019, 10:55 p.m.
A longtime University of Idaho chemistry professor died Wednesday on campus. The cause of Tom “Doc” Bitterwolf’s death in Malcom Renfrew Hall was not known, UI spokesperson Jodi Walker told the Argonaut, UI’s student newspaper. Bitterwolf had worked at the university since 1988, receiving several awards for his research there. “He was an organometallic chemist with incredible skill in mentoring and engaging students,” Walker wrote in a news release. Bitterwolf, a Navy veteran, was on the faculty of the U.S. Naval Academy in Annapolis, Maryland, before landing on the UI campus, the release said. The chemist is survived by a wife and daughters. The university offered counseling to faculty and students who may be impacted by his death. Published: Jan. 30, 2019, 7:09 p.m. Updated: Jan. 30, 2019, 10:55 p.m.